It is time to be completely honest with you, Dear Reader, but sometimes investigations are not broken by diligence, attention to detail, or hard work but by another factor entirely. 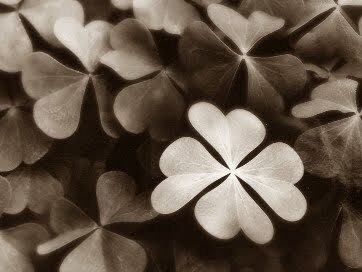 The role luck can play is almost scary in some cases, like this particular tale of how I uncovered a serious fraud when I was actually conducting a simple background check. Again, like many cases, it all started out innocuously enough. I received a phone call from an overseas client who wished me to undertake a simple background investigation. I was tasked to go to a building to make enquiries whether a particular individual was employed in any capacity in any of the businesses operating from there, within a certain time frame. To make things even easier, this building was across the road from my office. Literally. All I had to do was walk out the front door, cross the road, and enter the foyer. Well, it didn't take me very long to canvass the tenants but it turned out none had ever heard of this particular individual. I was even able to locate several businesses that had been in the building at the time but had subsequently moved out and it was the same story. I compiled a report for the client and updated them to my findings. Now you should be aware that we rarely get the full story from our Clients from the beginning and this case was no exception. After a while the client calls me back and decides to give me some more information - the subject of the background check is a co-director of a company with the Client. The subject secured a substantial loan in return for increased shareholding in this company - to the tune of AUD$7million! This loan was guaranteed by the 'Phoenix Bank' which was headquartered in the building across the road (Phoenix House, by no coincidence). The Client then faxed me documentation regarding the loan, including the guarantee. With this paperwork I revisited Phoenix House and went to the top floor where the Phoenix Building Society was located. I had already been here previously and spoken with the receptionist who told me that they were an almost defunct Building Society that just managed a few existing clients and that was it. When I revisited, I just happened to have the guarantee with the Phoenix Bank logo on top of the documentation. The receptionist noticed this and asked where I had got this from since they weren't a bank (although had once considered it in the 1970s). Yep, someone had put together a fraudulent guarantee, purporting to be from a bank, using their logo and address etc. Well, this certainly changed things. I immediately contacted my Client to apprise him of this new development. It turned out there was also a third director who, in conjunction with the second, had engineered the scheme to introduce new capital to the company in exchange for greater shareholding. Now these two directors had a majority control of this company and my Client was being edged out and obviously not pleased. Now it seems that this loan was repaid, in full, but the fraudulent use of a document to gain pecuniary advantage is a serious matter. The last I heard, the Client was pursuing the matter further in Australia. I wonder how it turned out? Haven't seen anything in the media here - and probably won't until it appears in the courts and a keen eyed reporter is having a quiet day spying upcoming cases.